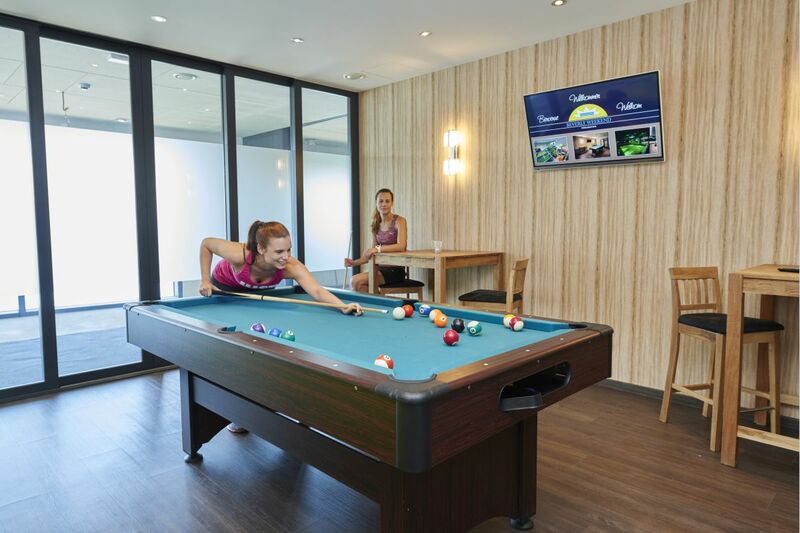 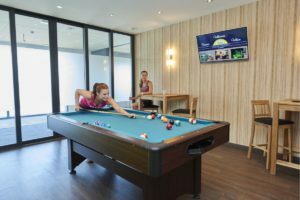 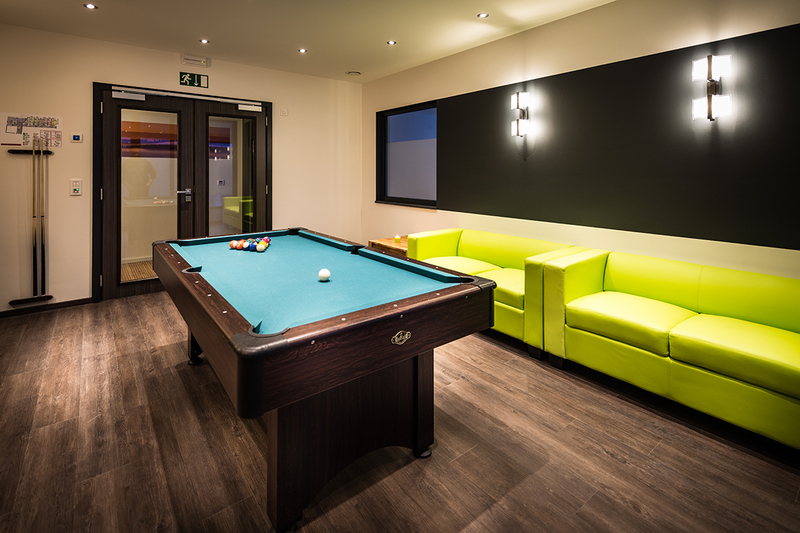 Our billiards room located on the 1st floor, next to the gym. It is also equipped with a TV. 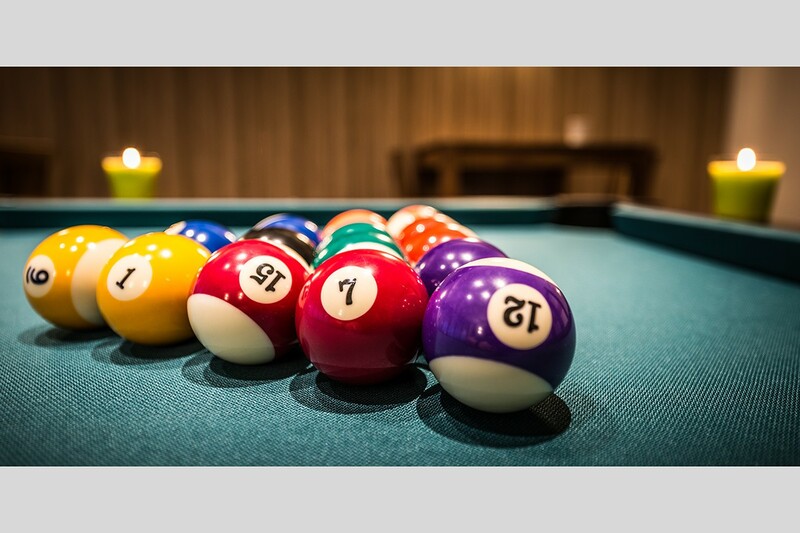 The billiard room is available every day between 09:00 and 24:00.